“Out of sight, out of mind” is a terrible, costly approach to septic tank maintenance. If your home has a septic tank, rest assured that you are using a time proven, environmentally responsible method for getting rid of waste products. 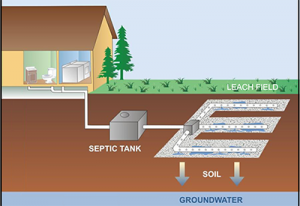 Septic tanks are generally very reliable, self-sufficient methods of waste disposal. They don’t require much maintenance, but what little service they do need is imperative in avoiding big problems in the form of sewage backups and potential overflows into your home. Septic tanks are the great separation engine in your waste disposal system. When waste enters the tank, solids float to the top, where they form a layer of decomposing material called “scum”. Most of the scum turns into liquid containing mostly water and some nutrients that makes its way out of the tank and into the ground via your leaching field. Any solids that don’t decompose sink to the bottom of the tank and become “sludge”. Because the biological action that takes place in the tank is quite efficient, sludge builds up slowly. When the level does, inevitably, become too high, it can interfere with the layer of water moving out into the leach field, and the scum at the top of the tank will build up too quickly and can actually back up into the “in” and “out” pipes of the tank. This can cause a backup into your home. The answer? Preventive maintenance. You need to periodically pump out the tank to remove the sludge buildup at the bottom. How often you need to do this depends on a number of factors, including size of the tank, number of people in your home, and the size and makeup of your leach field. To find out about how often you need to service your septic tank, contact the professionals at Edenflo. We’ll send out a knowledgeable technician, fully equipped to deal with your septic system. We can be reached at 604-575-1414 or fill out our online request for service. 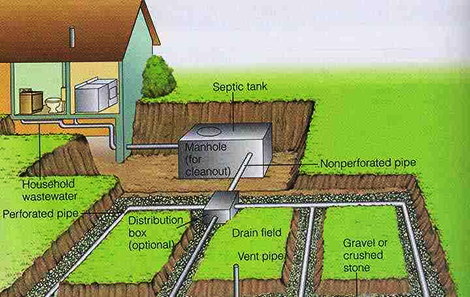 This entry was posted in Septic Tank Maintenance, Septic Tanks and Field Cleaning and tagged aging septic systems, aldergrove, burnaby, how to prevent aging septic systems, septic field cleaning vancouver, septic tank maintenance langley, septic tank maintenance surrey, septic tank maintenance vancouver, septic tank pumping vancouver on December 23, 2015 by Edenflo. Your septic system will serve you well for many years as long as you follow a few basic guidelines for preventative maintenance. You will need an occasional septic tank cleaning by a pump truck service, but that’s usually all that is needed if you follow these guidelines. Only biodegradable waste should go down the drain. Make sure that the toilet tissues and detergents you use say biodegradable or have an indication on the label that they are septic-tank-safe. Anywhere in BC, septic tank cleaning by a professional service should be done every one to five years. A professional septic tank maintenance company such as Edenflo will inspect your tank for cracks, damaged baffles and other issues when they come to pump the tank and will advise you on any maintenance that is necessary. Most of the time, you can avoid needing maintenance. 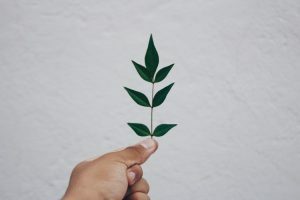 Never plant trees or shrubs over your septic system drain field or over your septic tank as roots can cause serious damage that requires costly repairs. The surface around your septic system should never be used to park vehicles and should remain unpaved and permeable. Make sure the cover to your septic tank is securely in place at all times and make sure it remains accessible. Never pour grease or food waste down the drain. Yes, that means you should not use your electric garbage disposal. Dispose of such waste in a compost area or in your regular garbage. Anything that goes into the garbage disposal adds to solid waste in the septic tank and overloads your drain field with liquid waste, and can ultimately result in septic tank back-up. Feminine hygiene products should never be flushed down the toilet. Always dispose of them in the regular trash. Also avoid flushing cigarette butts or any other trash down the toilet. This entry was posted in Septic Tank Maintenance, Septic Tanks and Field Cleaning and tagged Do's and Don'ts of Septic Tanks, Edenflo Septic Tank Cleaning, Septic tank cleaning, Septic Tank Cleaning Aldergrove, Septic Tank Cleaning Langely, septic tank cleaning Richmond, Septic Tank Cleaning Surrey on April 11, 2014 by Edenflo.